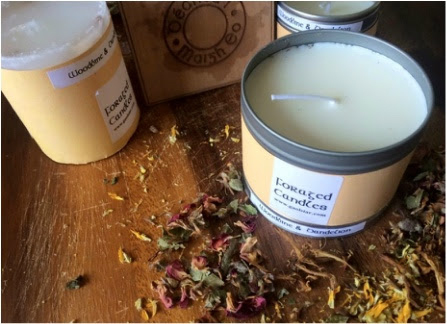 Recently at the Foxford Craft Fair a middle aged woman walked up to my table and smelled my Woodbine & Dandelion candle and tears started to roll down her face. She said this smell brings me right back to being on the back of the donkey & cart coming from the bog with my father and he stopped to pick some woodbines and handed them to me. 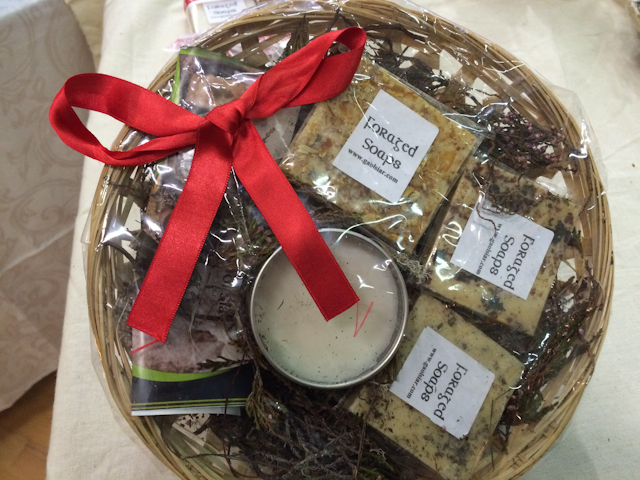 Enjoy the benefits of the wild natural plants of Erris in our Wild Foraged soaps. 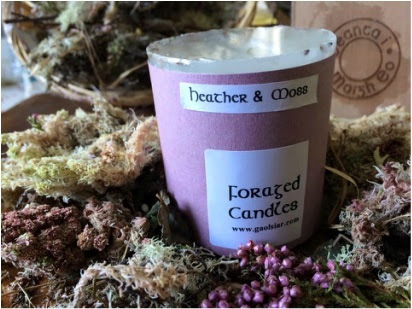 Choose from six different scents, they are Heather & Moss, Dandelion & Woodbine, Nettle & Wild Mint, Wild Gorse & Honey, Wild Rose & Clover and Atlantic Seaweed. Our soaps are a handmade gentle soap blended with the wild foraged botanicals and herbs of Erris, and the oils distilled from the foraged plants. 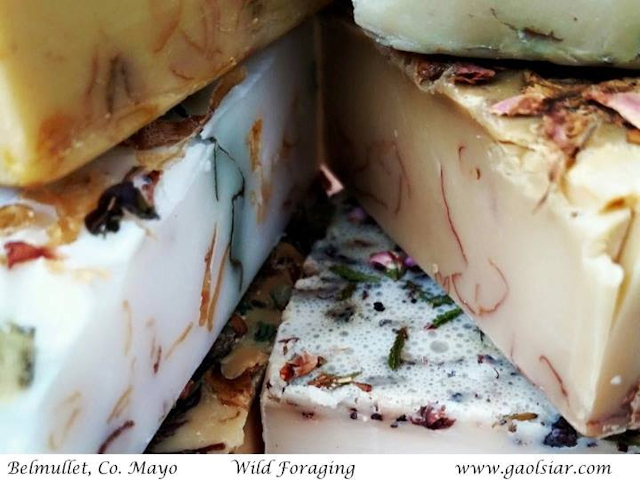 Our soaps can be purchased on our website at http://www.gaolsiar.com/foraged-wild-irish-soaps.html. Are you searching for a unique Christmas gift for someone special, or simply looking to create a special Irish atmosphere and need a charming aroma to welcome visitors into your home? Our candles come in three different sizes. We have a 175g parading wax or a 100g and 200g Eco Soy wax candle. 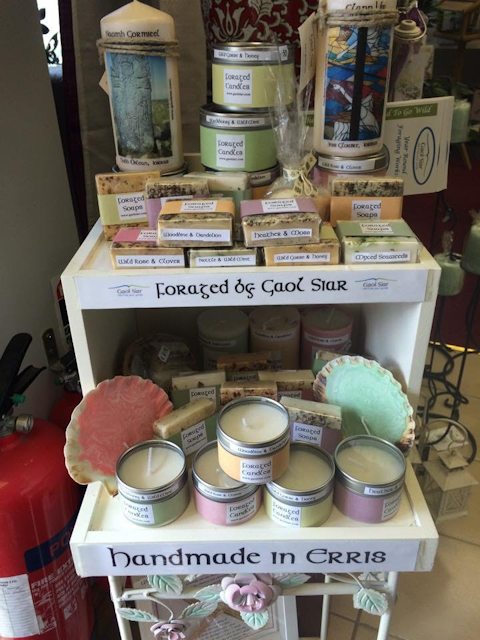 Each natural candle is blended with our own oils distilled from the wild plants and captures the essence of Summer in Erris. If you would like to gift a loved one some of our foraged soaps and candles this Christmas we can customise gift baskets to any value, we can also ship the baskets for you. 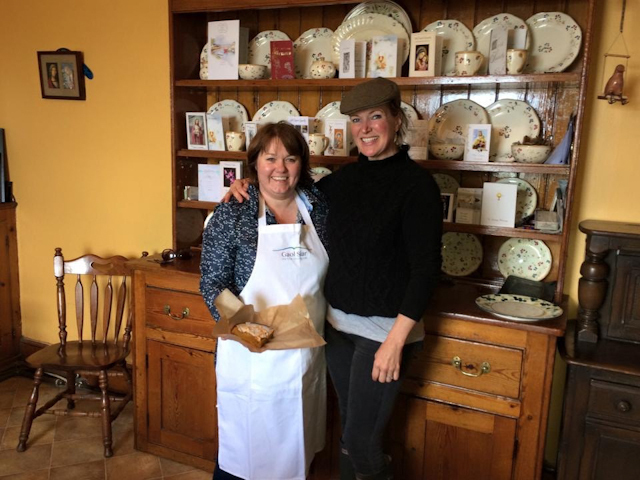 Barbara recently gave Rachel Allen of RTE a taste of the natural delights of Erris on her Coastal Cookery show.